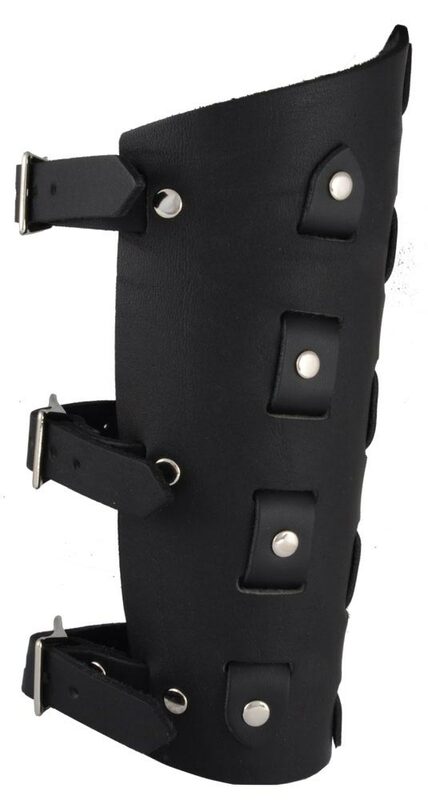 Leather gauntlet with woven straps and rivets. 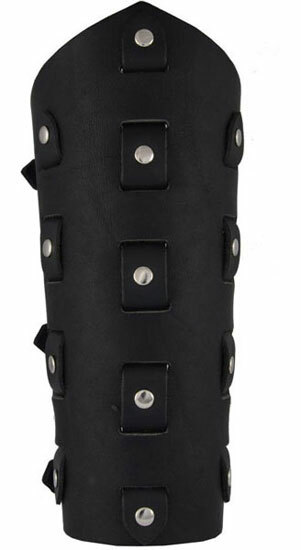 This gauntlet is 9 inches tall and will fit up to a 13 inch forearm. Hand crafted in the USA.